The Dodgers capped off their 10-game road trip with an exclamation point, sweeping a three-game series with the San Francisco Giants and moving back into a tie for first place in the National League West. L.A. fans were grinning this weekend as the Dodgers recorded consecutive shutouts of the Giants behind stellar pitching from Chad Billingsley and Clayton Kershaw. This was the first time the Dodgers shutout the Giants on their home turf in back-to-back games since 1957. Overall the boys in blue went 7-3 on their three-city road trip. The Dodgers infield looks to be completely solid at all positions. A.J. Ellis and Mark Ellis are both back to producing, Luis Cruz has seized the shortstop position, the arrival of Hanley Ramirez takes the team offense to the next level, and it appears Don Mattingly has settled on a steady platoon of Juan Rivera and James Loney at first base. A.J. Ellis came up big in Saturday afternoon’s 10-0 beat down belting his 8th homer of the year, and smacking a double as well. Further evidence that A.J. is back to his old self, he walked in all four plate appearances Sunday. Mark Ellis was productive as well, leading off in Saturday and Sunday’s games, overall Mark hit .333 (5-for-15) with a pair of doubles and RBI, as well as a stolen base Friday for good measure. Newly acquired Hanley Ramirez delivered exactly what the Dodgers envisioned him bringing to the team, hitting the go-ahead 2-run home run in the 10th inning Friday night, and hit .267 (4-for-15) overall driving in and scoring a run in all three games. Luis Cruz appears to have all but locked down shortstop job for the Dodgers. He hit .417 (5-for-12) in the series including a pair of RBI in Sunday’s 4-0 victory, Cruz flashed the leather as well with a nifty unassisted double play Sunday. Very quietly, James Loney has actually picked things up in July batting .328 with 7 RBI, after driving in only four runs and batting .217 in the entire month of June. He hit .333 (2-for-6) with a double and an RBI as well as bringing stellar defense to first base. After an 0-for-5 start to the series on Friday night, Matt Kemp unleashed Beast Mode on the Bay Area, going 4-for-5 with a home run, two doubles, and four RBI Saturday afternoon. Overall, Kemp was .400 (6-for-15) in the series and also had a nice over-the-shoulder catch Saturday. As the Dodgers have regained their swag, Matt Kemp has been at the forefront of it. Andre Ethier was also effective in the series going .308 (4-for-13) with a pair of doubles and three runs scored. Andre landed on SportsCenter’s Top 10 with a leaping catch into the fence in right on Saturday. Jerry Hairston, Jr. continued his steady play with RBI doubles in each of his two starts in left field. Juan Rivera started a game in left field and he’s the main right-handed bat in the first base platoon. As the season enters the stretch run Don Mattingly will do everything he can to field the hottest team possible. With the arrival of Hanley Ramirez at third, it appears Hairston’s playing time will have to come in the outfield, so it’s just something to note going forward that Bobby Abreu only received one pinch-hit at bat in the series. The Dodgers’ starting pitching was masterful this series. In a series in which they needed to be against a Giants pitching staff that has the second best home ERA in MLB. Rookie Stephen Fife provided the Dodgers with everything they could have asked for from him, pitching 6 1/3 innings of one-run ball, out-dueling Giants All-Star Matt Cain. The Dodgers had a 3-1 lead, but Ronald Belisario couldn’t hold it, and Fife was again denied his first major league win. Thankfully, the Dodgers would reclaim the lead and the eventually the game behind Hanley Ramirez‘s home run in the 10th. Chad Billingsley continued his strong play since coming off the DL with his second straight win behind 7 1/3 scoreless innings. Clayton Kershaw put the icing on the cake, hurling a complete game shutout Sunday, striking out seven, and walking only one. After what was arguably his worst start of the year in St. Louis earlier this week, Kershaw responded with one of his biggest performances of the year. It was Kershaw’s second complete game shutout this year. It’s amazing what can happen when a bullpen is fresh. Thanks to some outstanding starting pitching from the Dodgers, the bullpen was put to minimal use this weekend. Ronald Belisario‘s struggles continued Friday night, as he blew a 3-1 lead, giving up a two-RBI broken bat single to Brandon Belt in the 8th inning. However, Shawn Tolleson pitched a scoreless ninth, and Kenley Jansen pitched a scoreless tenth for his 20th save of the season. Thanks to Hanley Ramirez‘s home run in the 10th, Tolleson picked up his first career win. After Chad Billingsley left with one out in the 8th on Saturday, Javy Guerra came in and pitched 1 2/3 scoreless innings. The Bullpen was able to kick back and watch on Sunday as Clayton Kershaw handled business. The Blue Crew made a big-time statement by sweeping the Giants and reclaiming a share of first place, after being shut out three straight games a month ago. 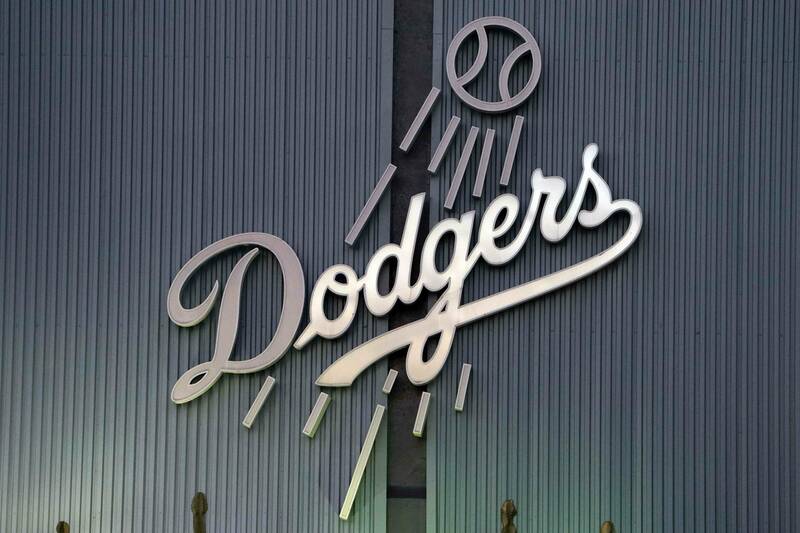 The Dodgers will return home to face the Arizona Diamondbacks Monday. The D’Backs have won 7 of 10 games just as the Dodgers have. They sit 4.5 games back of L.A. and San Francisco, and are coming off a four-game split against the New York Mets at home.